Giovanni Pinarello was born in Catena di Villorba, Italy in 1922. He was the eighth of 12 brothers. 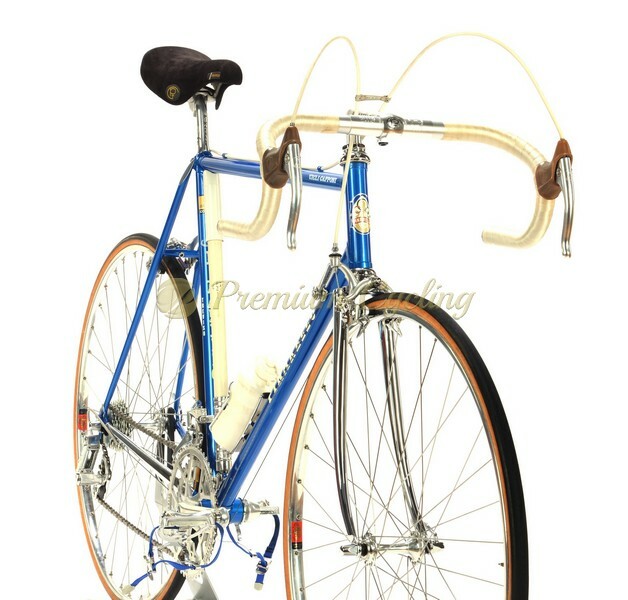 At the age of fifteen, Giovanni began making bicycles at the factory of Paglianti. After a successful amateur career he turned professional in 1947. After his carrer, in 1952 he founded Cicli Pinarello S.p.A. in Treviso, Italy. The Pinarello Treviso is for sure one of the most known bikes which ever left Giovanni Pinarello’s factory in Treviso, Veneto, Italy. Happy to present another beauty from mis 1980s – Pinarello Treviso Victory. Completely chromed frameset is shinning in amazing metalic blue paint job and made of Columbus Aelle tubes. Easily recognisable Pinarello engravings and famous Pinarello head badge on head tube. Completely built with Campagnolo Victory groupset with Pinarello pantograph chainring, seatpost , stem and shifters, No much words needed. 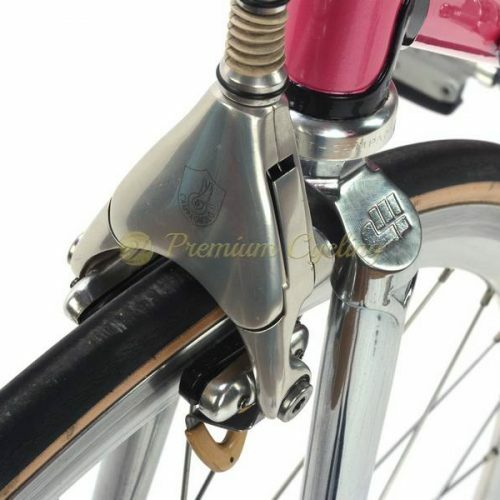 Great catch for all Pinarello lovers any vintage bike collector. New old stock condition. Ready for L’Eroica ride. Condition: New old stock, ridden few times around the bikeshop. The frame has no cracks, no dents and is not bend. Original paint. Some micro signs od storage. All parts are working fine.